The 2016 Australian Supercross Championship will see leading riders from around the world converge in Australia and compete across six intense rounds for the elusive right to be titled a champion. Australian’s Ferris, Waters, Gibbs and Mosig hard fought the motocross championship. Current Australian Supercross Champion Dan Reardon, who is intent on defending his title, will join these four riders. Reardon believes he is ready, stating, “I have recovered from the knee injury I sustained in motocross. I am looking forward to racing in Jimboomba and the entire championship. Last year was amazing for me and I am certainly itching to get back on the race track to defend my title”. “Racing in Australia is world class. The tracks and the racing emulate what we race in America. I know Reardon and other Americans will be fast, but I aim to win. This will be great preparation for the Monster Cup”. Millsaps, along with Will Hahn and other American riders will be on fire, but don’t underestimate Australia’s best. The 250 class will have the most stacked international field in the history of Australian Supercross. 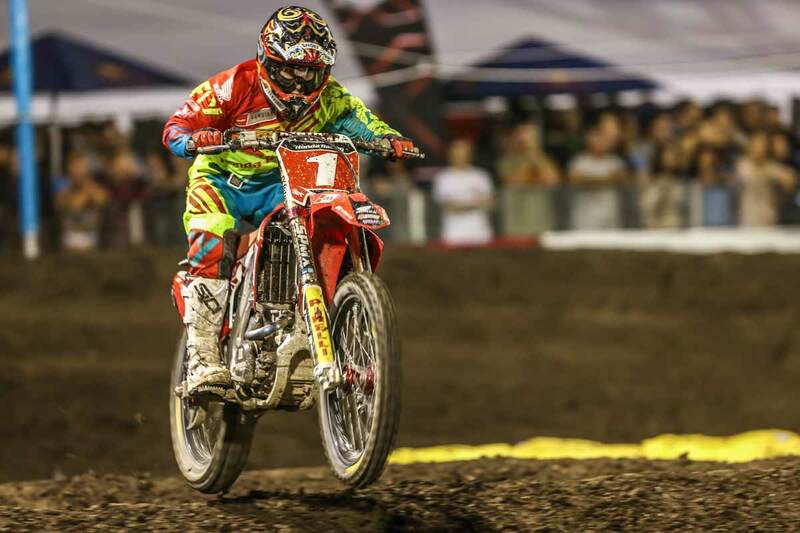 Jimmy Decotis will return to defend his title and the 2012 and 2014 Australian Supercross Champion, American Gavin Faith will return to the 250 class to battle his fellow American. “Faith will be fast. There is a rumour Hayden Mellross is racing and I expect Dylan Wills will be quick. It’s disappointing that Nathan Crawford got hurt, as he was on it in the nationals. The gates will be full of talent and anything can happen in racing”. Tickets are available via the following links for all rounds now.